Freshly Found received a commision to create a fleet (?) 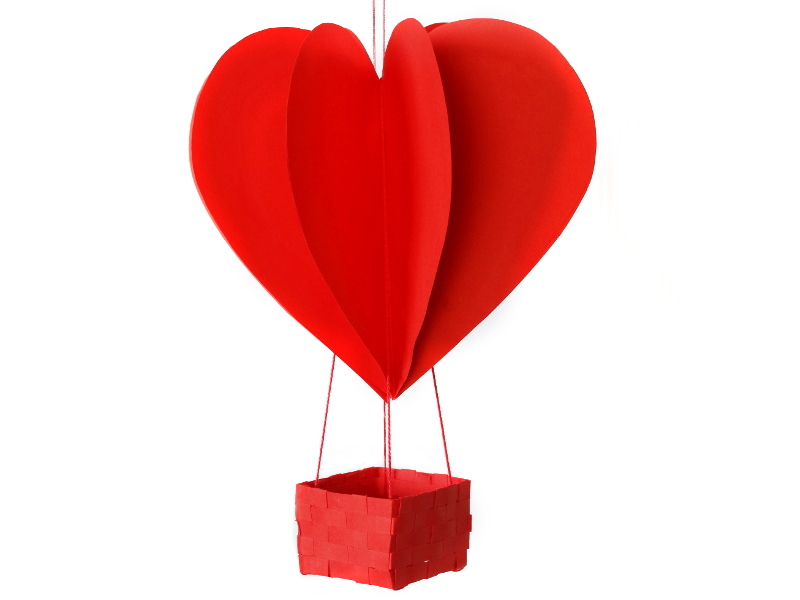 of heart-shaped paper hot-air balloons for a jewellery store client. 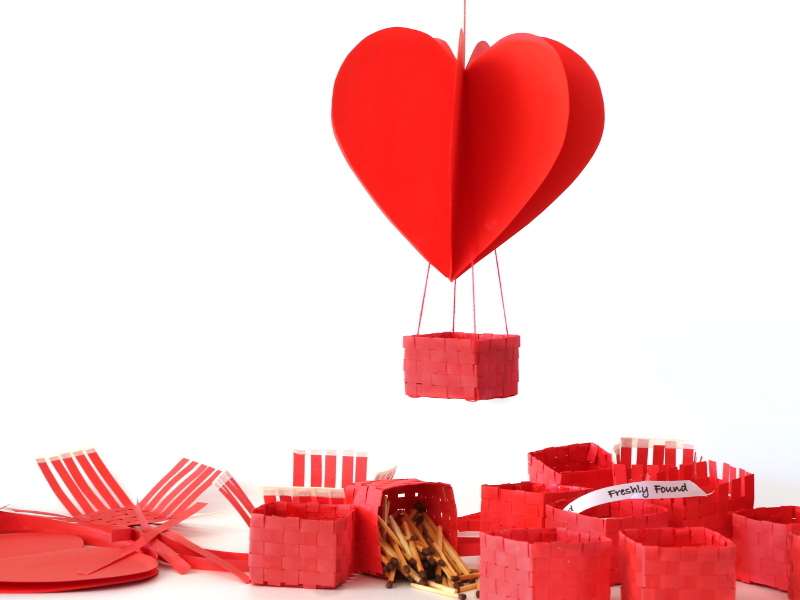 Because Valentine’s day is imminent, we got to work tight away and completed the order in time for the build-up to the special day. 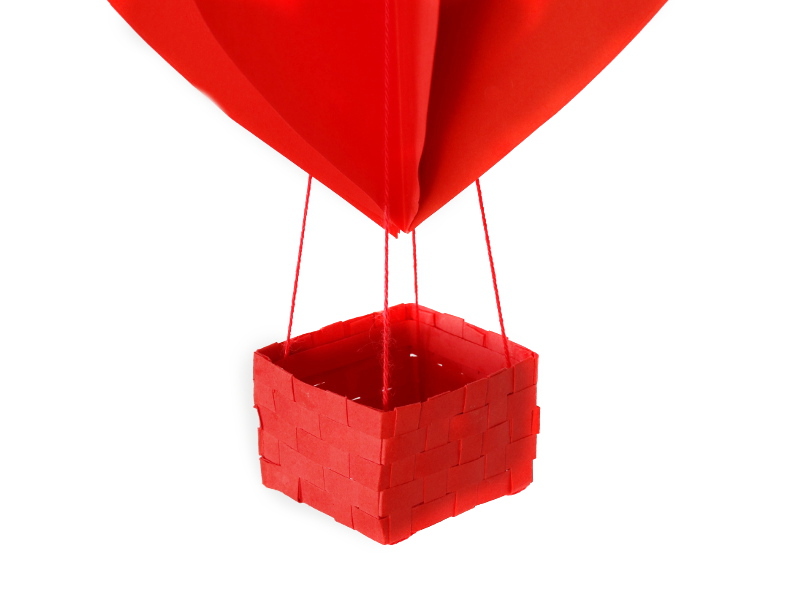 I wonder – what is the official collective term for many hot air balloons? A google search tells me it could be a flock, a drift or even a sigh of hot-air balloons! Rather lovely terminology! Allsorts have a few other suggestions, some quite humourous! 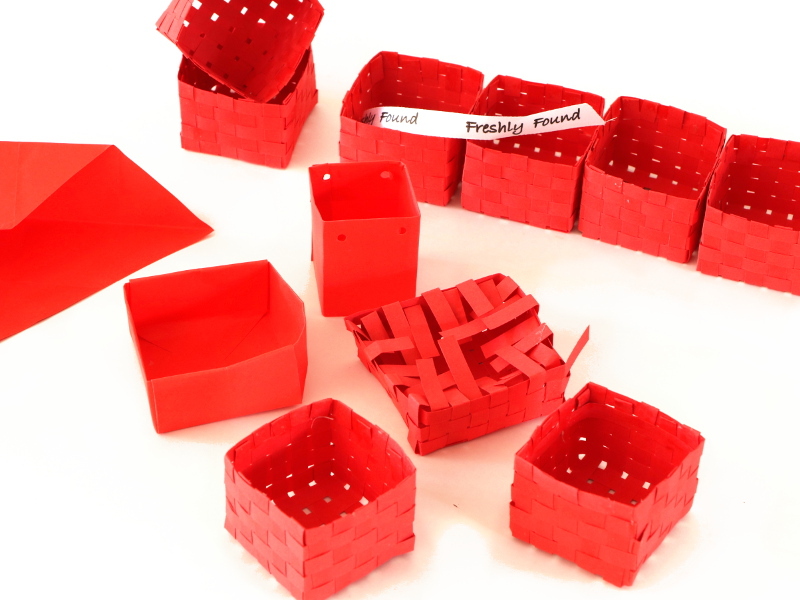 I used red paper and thin board to create the ensemble. Firstly, I drew a heart shape on a folded piece of paper to create the pattern. I used this to cut out 8 red paper heart shapes. I folded them in half and glued the leaf sections to each other. Consequentially, as they fanned out they formed a balloon shape. I glued a cotton thread into the central core to use for hanging. 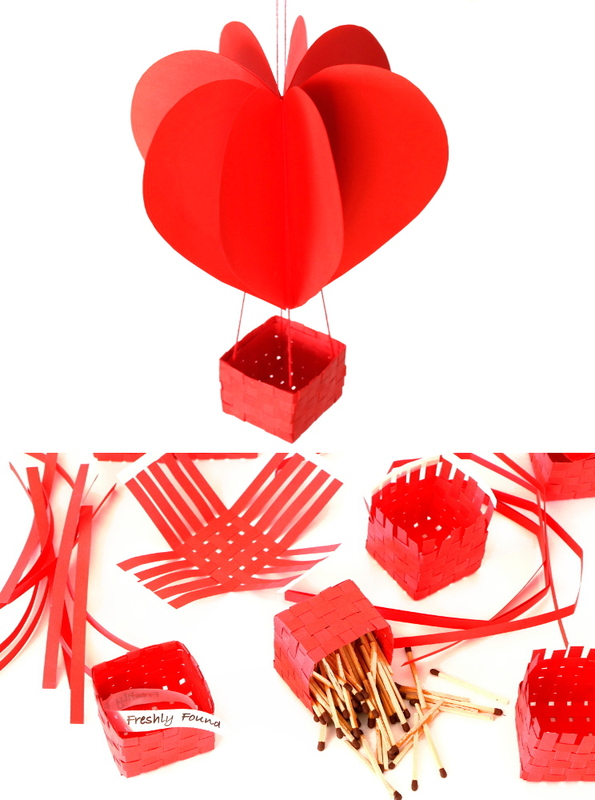 I made the baskets for the Paper Hot-air Balloons from strips of thin board. 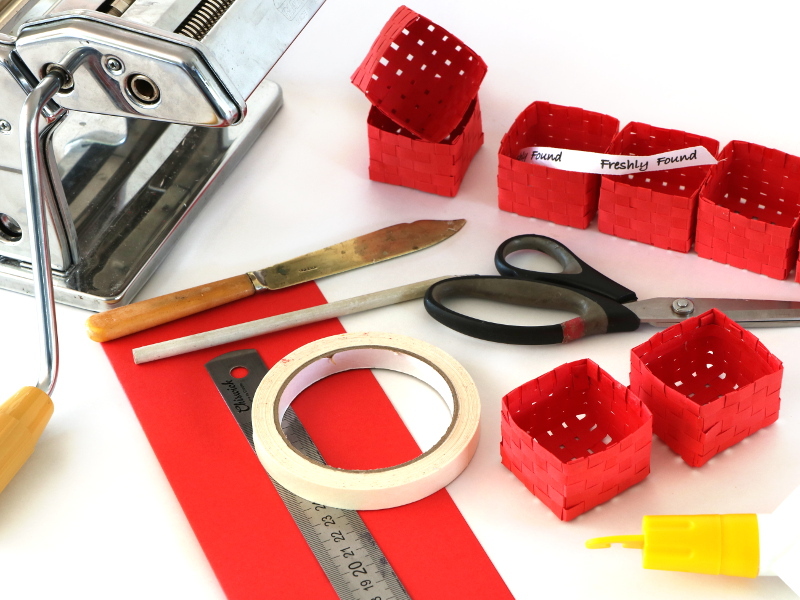 – My pasta machine is a trustworthy strip-maker! 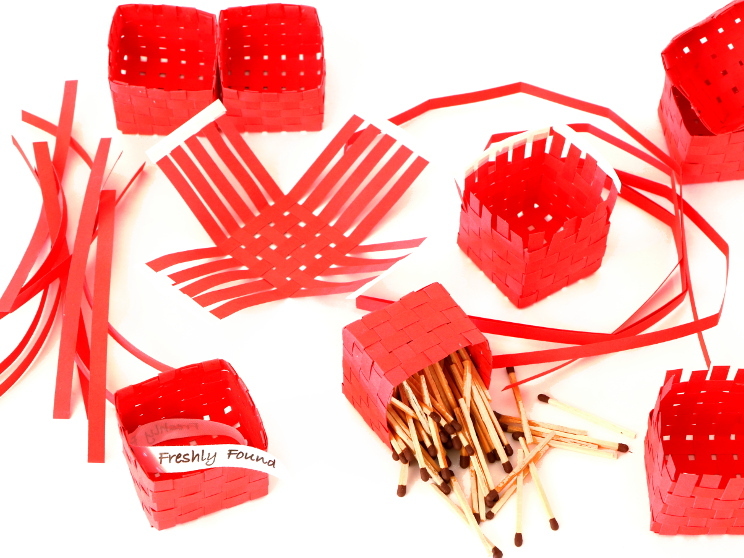 The pictorial gives you an idea of how I wove the paper baskets together. (I used masking tape to hold the strips in position.) Below are some of the tools and materials I used. 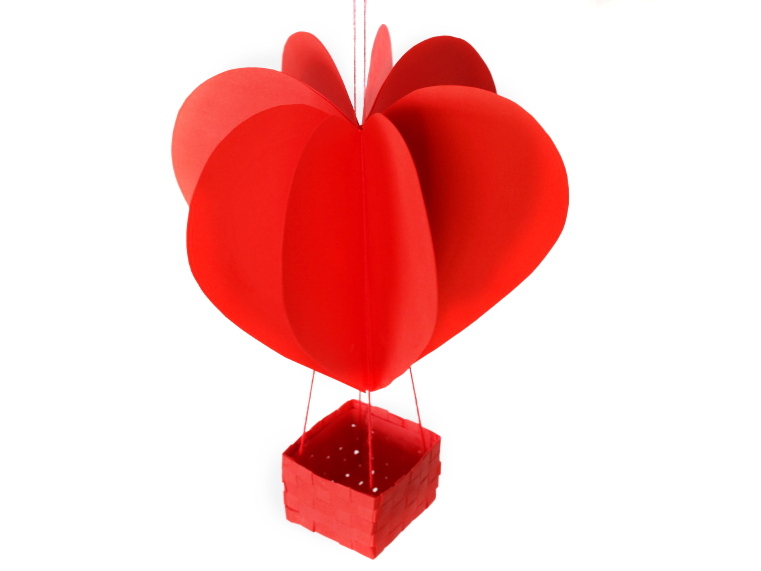 Finally, I suspended the baskets from the heart balloons with red cotton handles. 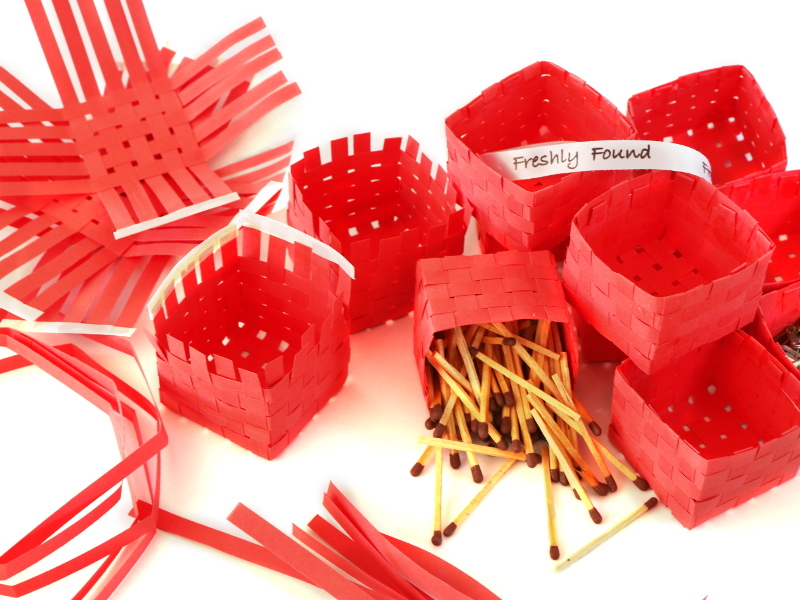 Because I find the design journey fascinating, I documented some of the basket variations we made along the way. Great encouragement to keep trying til it works well! As always, we love to create speciality paper items for boutique stores. Visit our Installations and Shop Windows Section to see other projects we have completed.